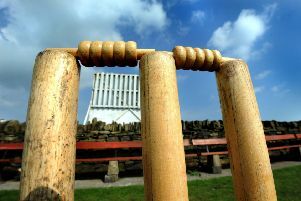 Once again it was a weekend of mixed fortunes for Whitley Bay cricketers. The table-topping 2nds, who now hold a 94 point lead at the top of Division 5 (North) in the Northumberland & Tyneside League, beat Bedlington by 118 runs away from home. Varun Goyal hit 79 not out and there was 44 from Jay Virpura as Whitley put on 241-4 in their 45 overs. Bedlington were all out for 123 in reply with Sam Taylor their top scorer on 36 not out. Gaurang Gandhi was Whitley’s most successful bowler with figures of 6-50. Meanwhile, the 1st team went down to a 66 run home defeat at the hands of Berwick 1sts. Scott Middlemist hit 60 and James Patterson 55 as Berwick put on 219 all out with Shahzad Ahmed taking 4-67. In reply Whitley were 153 all out with Chris Wrigley on 73.